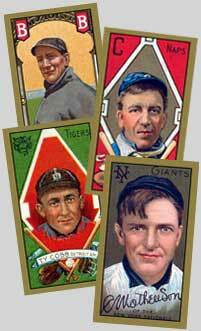 Harry Wolter, the man was a gypsy of sorts in the world of professional baseball. 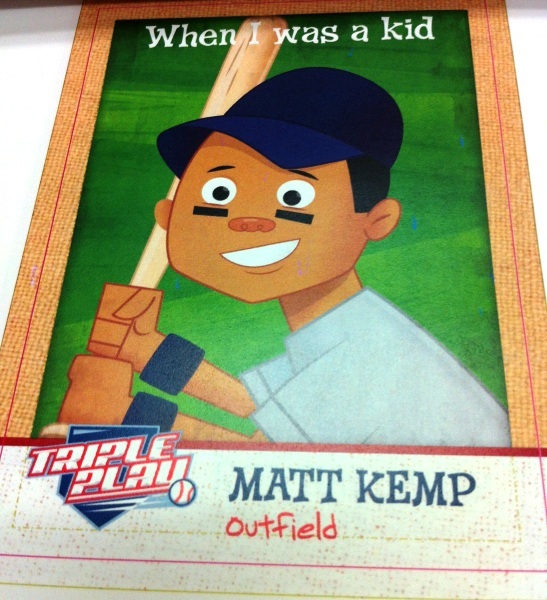 He was known for playing the outfield but he did play pitcher in both the major and minor leagues. His first taste of the “Bigs” was in 1907, he came up with Cincinnati but only managed to make it in to 4 games before moving on to play a game for the Pittsburg Pirates and he finished the 1907 season with the St Louis Cardinals. 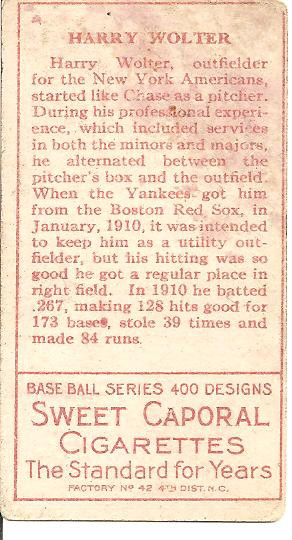 After bouncing around the PCL he played half of the 1909 season in Boston. 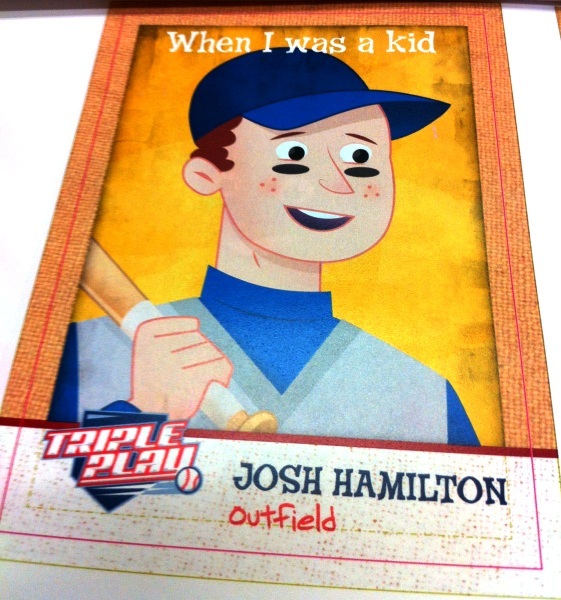 In 1910 he finally made it as a regular player with the New York Highlanders. He spent spent 4 years in New York. A few more years in the minors and he finished his career with the Cubs in 1917 after the team lost a number of players who enlisted when the U.S. entered World War I. His final stats: 588 Games Played, .270 BA, 167 RBI and 12 HR and his pitching totals ended at 4-6, 84.0 Innings Pitched, 3.75 ERA, 1 Complete Game and 29 Strike Outs. 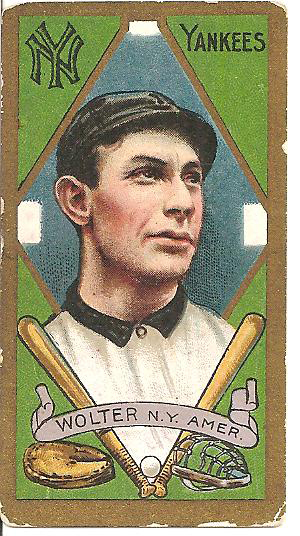 Definitely not an All-Star in any way shape or form but he has made the MLB history books, Wolter was the first player to get a hit at Fenway Park when the stadium opened on April 20, 1912. Following his baseball career he coached the Stanford baseball team until 1949; he also coached one of the U.S. teams in the 1936 Summer Olympics. Baseball was only an exhibition sport at the time so only 2 teams competed, both were American teams. 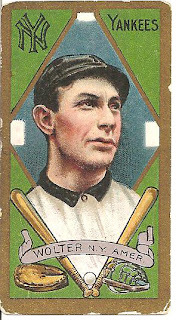 This card is from the 1911 T205 Gold Border set, a follow up to the more widely known and popular 1909-1911 T206 cards. 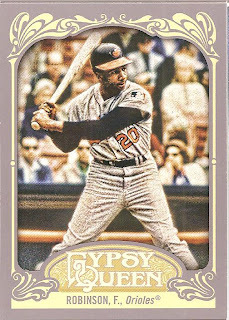 In my opinion, the T205 cards were definitely more appealing than the T206 set and easily one of the more beautiful designs even when compared to modern sets. 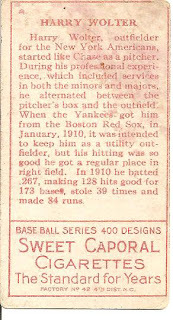 The cards were standard tobacco size, 1 ½ x 2 5/8, and had the player’s bio/profile on the back along with the tobacco brand. 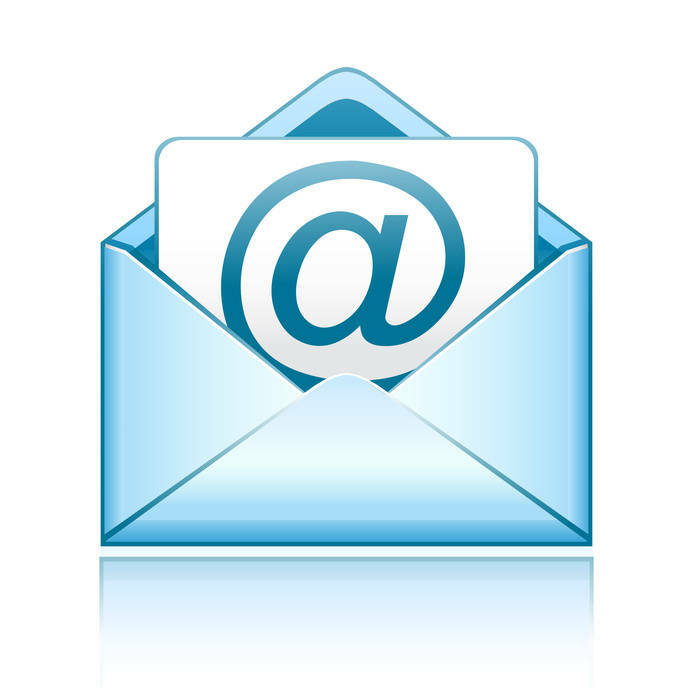 Some of the more common brands include American Beauty, Hassan, Piedmont and Sweet Caporal. The less common brands include Polar Bear, Sovereign and Cycle with the remaining 4 backs being rare which are Broadleaf, Drum, Hindu and Honest. The set was divided in to 3 groups; the American league players had a colored background with a baseball diamond surrounding the player’s portrait. 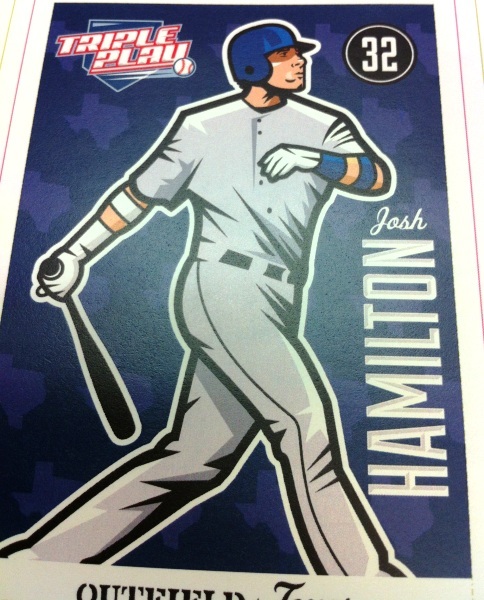 The National league players had a simple colored background with a larger player portrait and a facsimile autograph across the bottom. 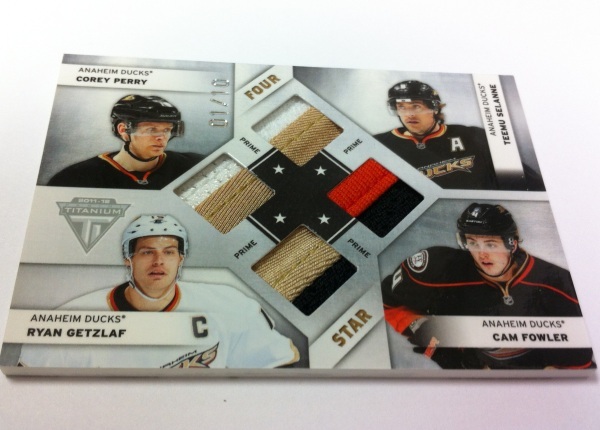 The Minor league players are shown with a “natural outdoor background” and had a beautifully ornate border. 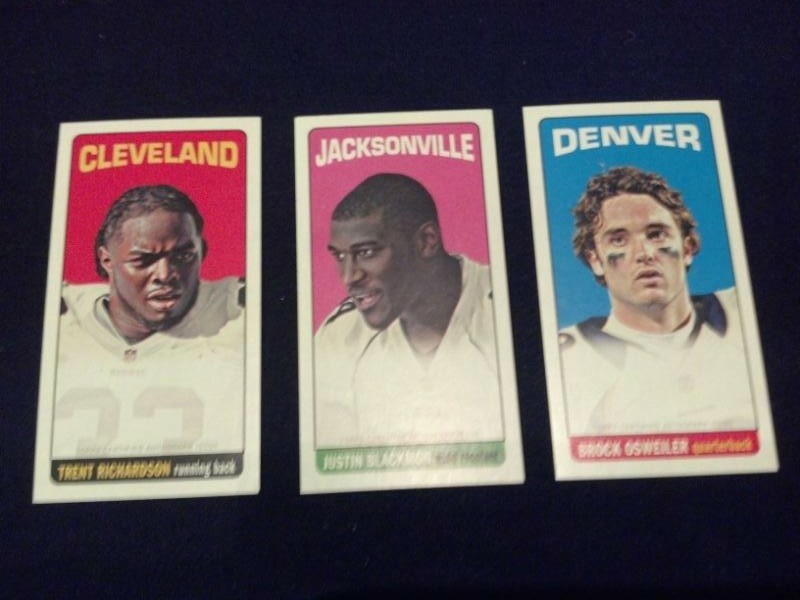 All the cards had a gold border, hence the T205 Gold Border name. 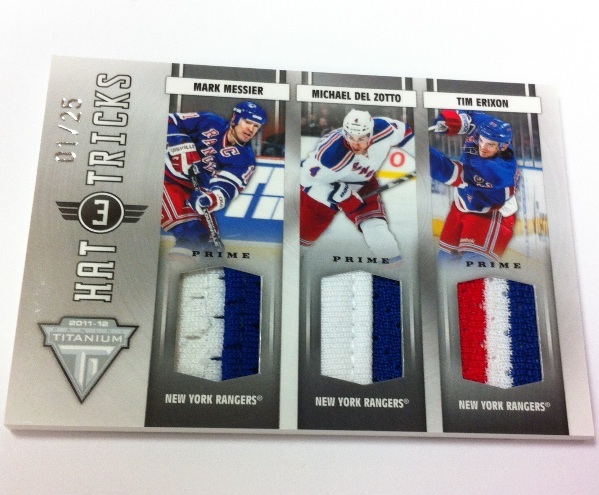 I have include a shot of the three different types of cards from the set below. My Wolter card is in rough shape, I picked it up almost 20 years ago from a friend when we worked a deal for a handful of T206 cards. The corners are well rounded, the gold border is chipped on all four sides but the card’s colors are still vibrant even after 100 years. 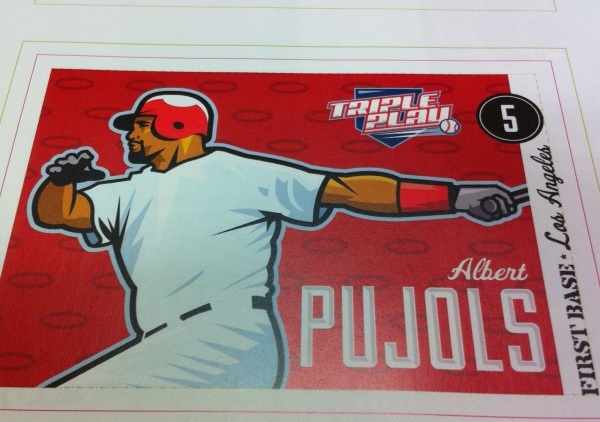 The back is cut off-center, probably a good 95-5 (if not worse) on both sides and top/bottom which is odd because the front of the card is pretty well centered side to side and maybe 60-40 on the top/bottom. There is quite a bit of staining on the backside and some ink has been worn away on the upper back border. 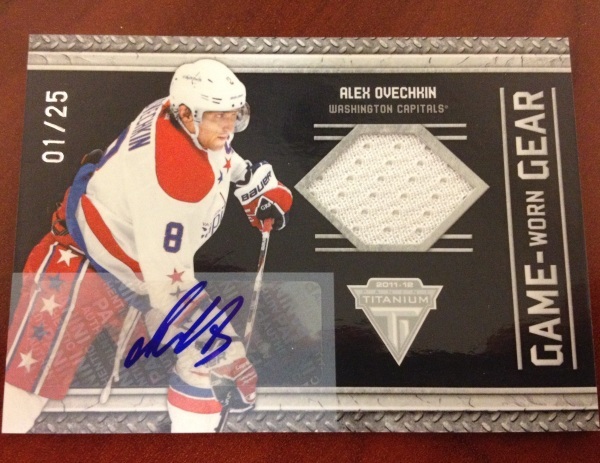 This is definitely not the type of card you would get graded because the best I would expect would at most be a Poor (0.5-2) and at worst simply an “A”, though based on the front I am pretty sure this card is not trimmed or altered. Is this the end of the road for Terrell Owens? 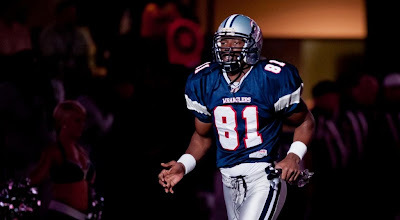 Yesterday he was cut by the IFL (Indoor Football League) Allen Wranglers, a team that he signed with before the season which included a six-figure salary plus an ownership stake. He was cut for being T.O., he began by refusing to play in two upcoming road games and then he did not show up for a team appearance at a local children’s hospital add this all to his missing practices and his “me-first” attitude and you can understand why the team stepped away, including revoking the ownership stake. When you get cut from a team that you are a part owner, you know there is a serious problem. When Owens signed with the team in February he was hoping to use this as a jump off point back in to the NFL, this was following getting no attention from any NFL team since his time with Cincinnati even though his agent Drew Rosenhaus has attempted to turn him in to a one-ring circus with his nationally televised workout, when not one single scout or team official showed up. He may have a number of records and a notable career, some may even argue a Hall of Fame career, but he has polarized teammates, coaches, owners and fans. He is egotistical and difficult to work with and at 38 years old you have to come to the conclusion that he may be done playing serious professional football at any level. I can see him signing on with some local semi-pro team as a promotional gimmick but I think he can remove any illusions of returning to the NFL. 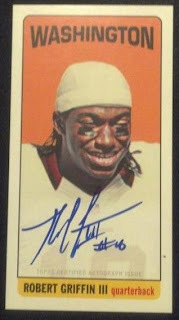 In the end I do not think this will affect his card prices, his attitude alone has made him a pariah among collectors. You can find some of his better rookie cards, like 1996 SP Premier Prospect and 1996 Finest, for under $10, his jersey/relic cards can be had for a dollar or two with patches around $20 and some decent autographs for another $10-15 each. It is just one of those times where you wish them well and hope they finally accept that they are no longer relevant. 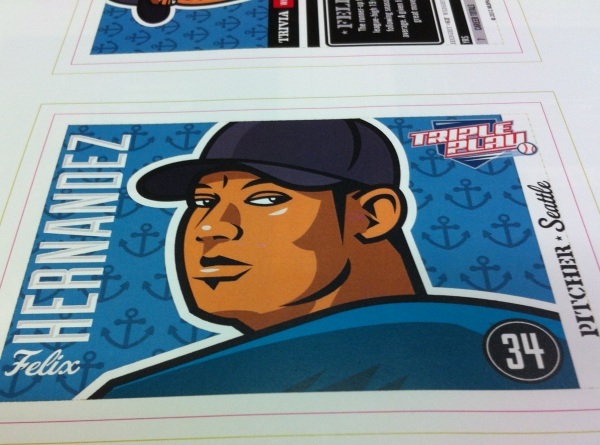 Panini released another 40+ images of the upcoming Triple Play baseball set that will be released in July. 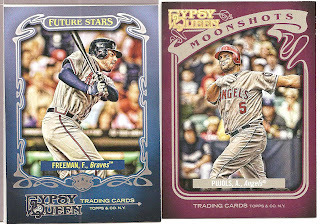 The packs run 99 cents with 24 packs to a box. 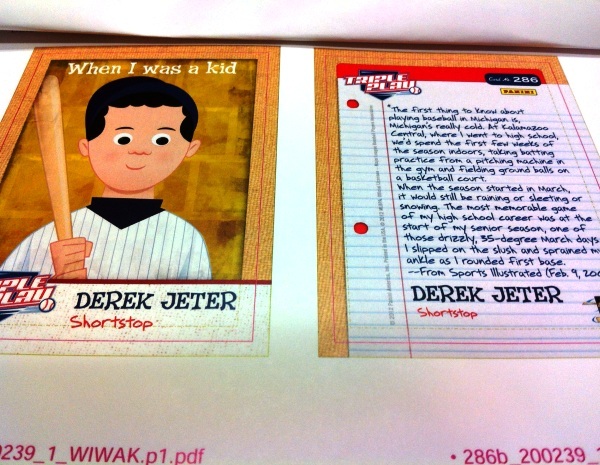 With the new images you get to see more of how the card’s illustrations will vary greatly. 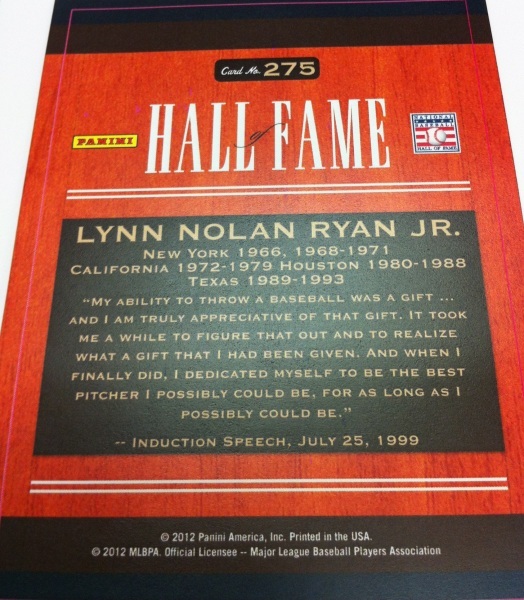 We also got some shots of the Hall of Fame and When I Was a Kid subsets plus a first look at the back of the cards. Today we honor all of the men and women who have given their lives in the service of our country. 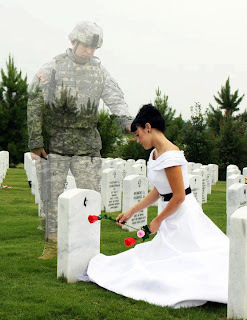 Since 1775 over 1.34 million U.S. soldiers have died during war and another 1.5 million were wounded. They have given all to ensure that the rest of us have our freedom, for this we thank you and your families. Another preview that we saw following the NFL Rookie Premiere are these mini tallboys that will be inserted in to the 2012 Topps Football release set to be released in August. 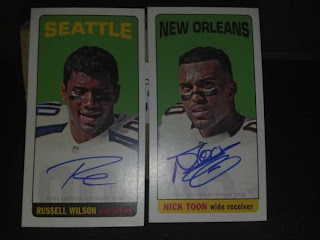 The original 1965 Topps Football tallboys were larger than current cards, measuring in at 2.5 x 4.6875 compared to todays standard 2.5 x 3.5 sized cards. We have not seen many over sized cards since the 1994 Fleer NBA Jam Sessions release so it is pretty cool to see these mini tallboys making their way in to packs. These tallboys will be slightly smaller than a current sized card (1.8675"x 3.5) and this was done to ensure the cards could fit in to packs. 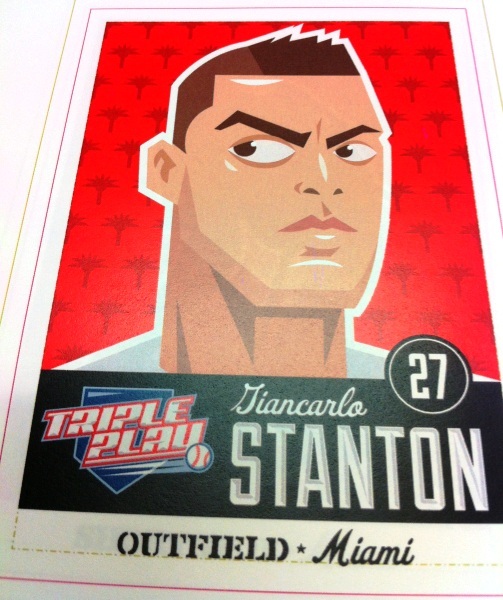 The 1965 Topps insert set will contain 140+ retired and veteran players plus there will be on-card autographed rookie versions (these are the images I am including in the post). 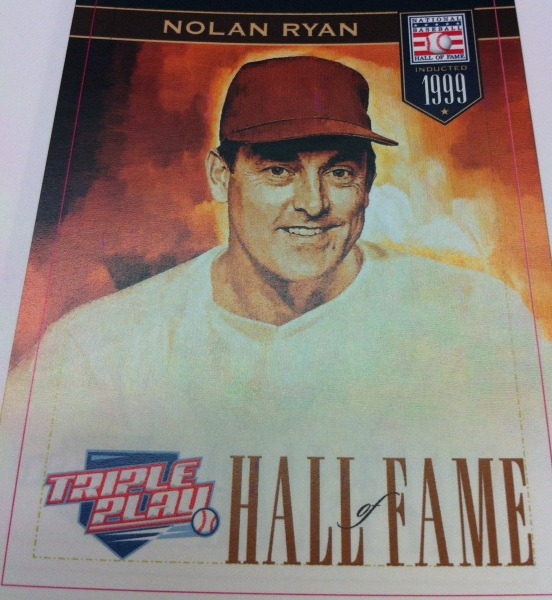 No insertion ratio has been announced and while Topps has announced that none of the autographed rookie cards will be short printed they have not stated anything about the retired and veteran cards. I was enamored with the Titanium Hockey sets in the early 2000s. While they would not win any awards for design, the sets were fun and they were one of the first products that contained a hit per pack. After 10-12 years I still have a handful of those old Pacific Titanium cards. 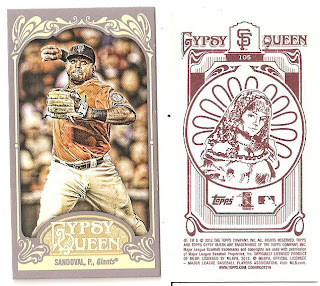 Fast forward a decade and now Panini holds the Titanium brand and is trying to put their best foot forward to continue the love that collectors held for those old Pacific products. I feel that they did some justice but on some aspects they lost sight of the prize. The rookie cards bring you back, even using the red “Rookie” diamond. It is quite a bit larger than before but it still works. 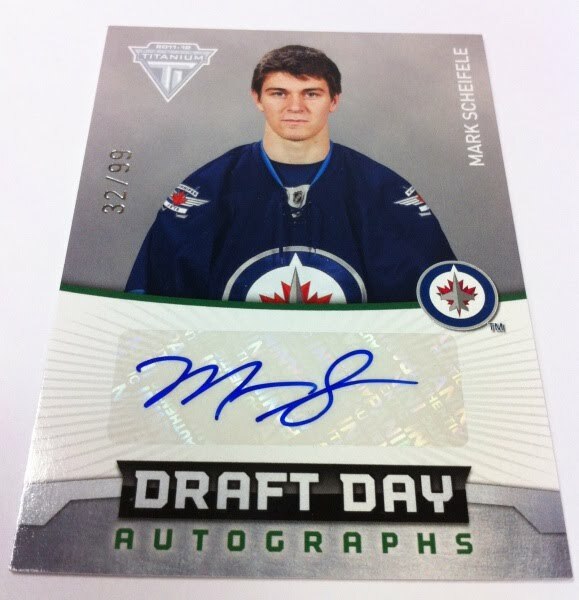 The Draft Day autographs are ok, but I do not like the studio shots it just seems like the players are disconnected from the sport. Panini worked in some nice parallels, I like the black backgrounds (#/25) as well as the base cards with the team colors and logos behind the players (not sure what they are titles) and finally the Private Signings are pretty cool too. Now on to the other side of the coin, the baby-poop brown used for the Game-Worn-Gear is just horrendous. 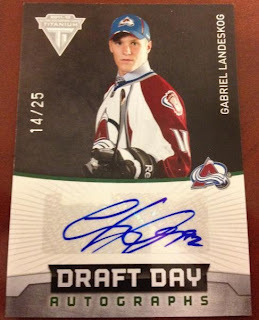 The design itself on the card is decent but the color used and tossing a sticker autograph and I have to add this to my “Dislike” column. 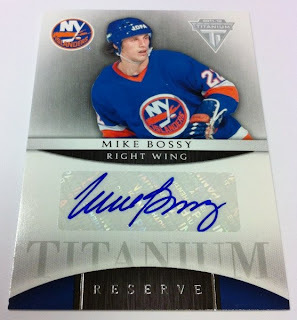 The New Wave autograph has a 90s feel but when half of the card is misty for the auto sticker I can pass on this too. 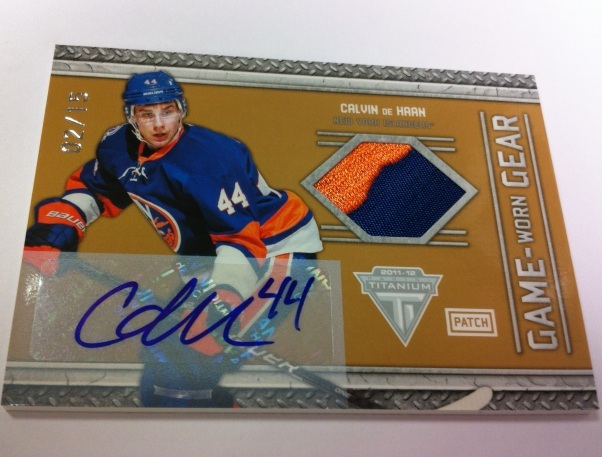 Finally, the Home/Away/Third Sweater auto/relic cards… normally creating a card with no obvious identifying cues to which the player is not a great decision. 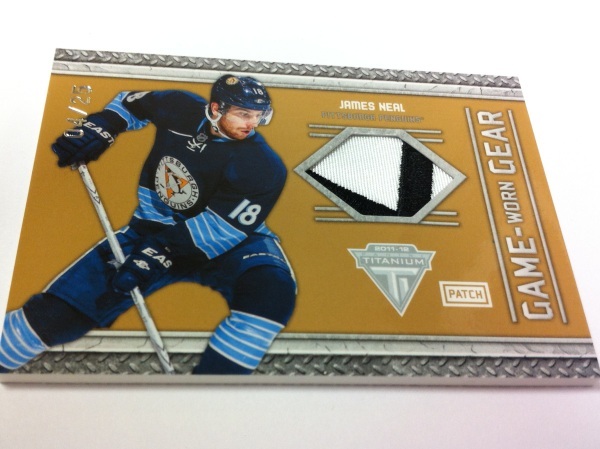 Panini made it work with the 2010 Panini Threads Jersey set but a basketball jersey is more recognizable when compared to a hockey sweater. 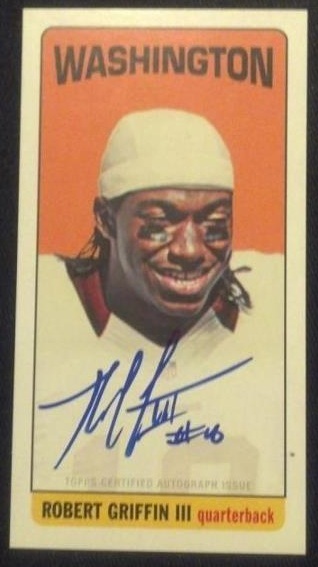 Add in a sticker autograph and two relics and it seems like the designers had bigger plans then they could accomplish. 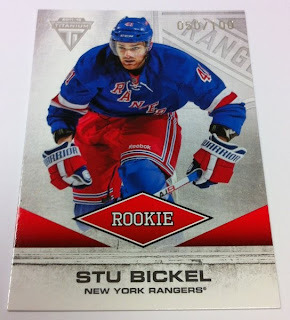 Maybe if they had included the player’s name across the front it would have been better. I think that this is a solid start on the reboot but instead of taking the expected/safe route they went out and tossed in a couple of changes and twists that I do not care for in the end. I would like to see this product continue in the future and evolve in to a solid release each year. 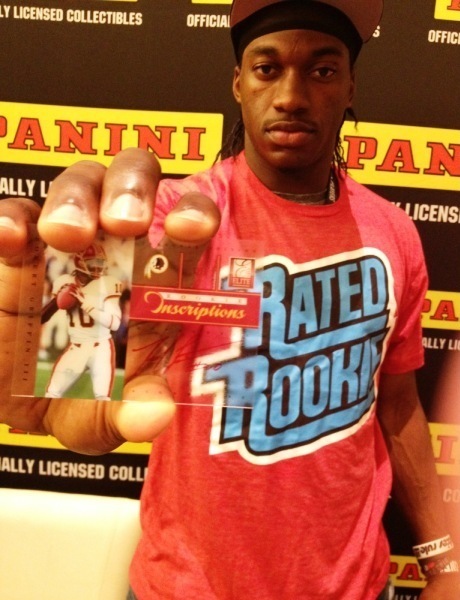 The NFL Players Rookie Premiere is done and now comes the time for Panini and Topps to start pounding out the NFL sets to make sure they hit the shelves on time. 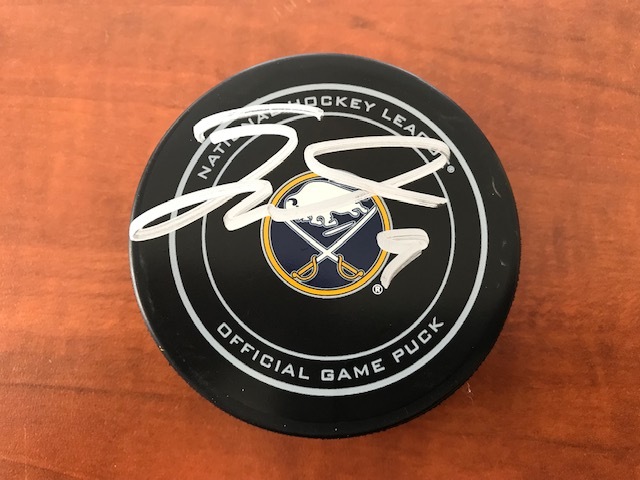 Over the last week both card designers have been updating their social networks quite regularly with pictures of the rookies in action as well as the hard signed cards that the players have signed over the three day event. I have to admit Panini has done a better job with some of their designs. 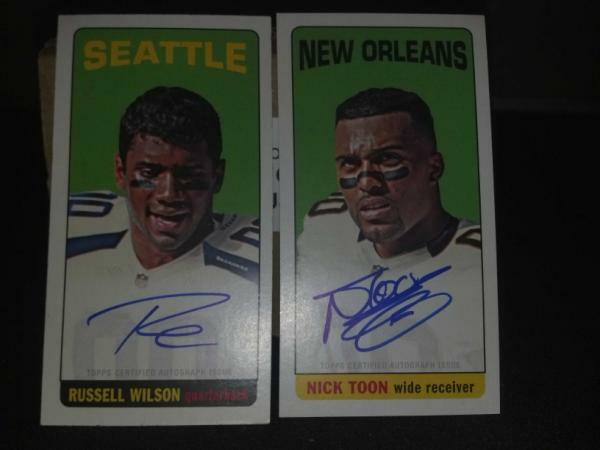 Both the NFL Draft Tickets and Destinations autographs look significantly better than previous years but the autograph set that stands out for me is the Rookie Inscriptions cards. 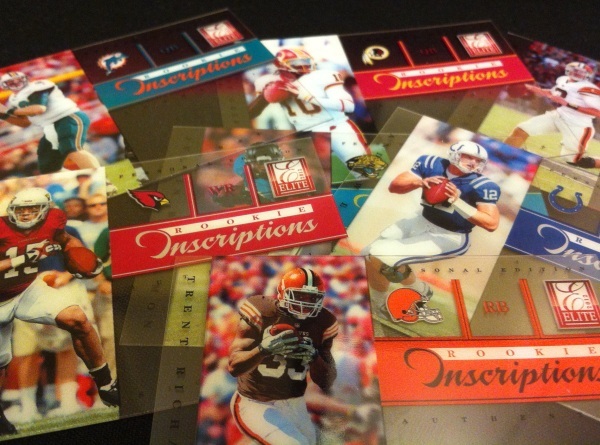 When used properly acetate cards can come out looking sweet, like the Shadowbox cards from Upper Deck. 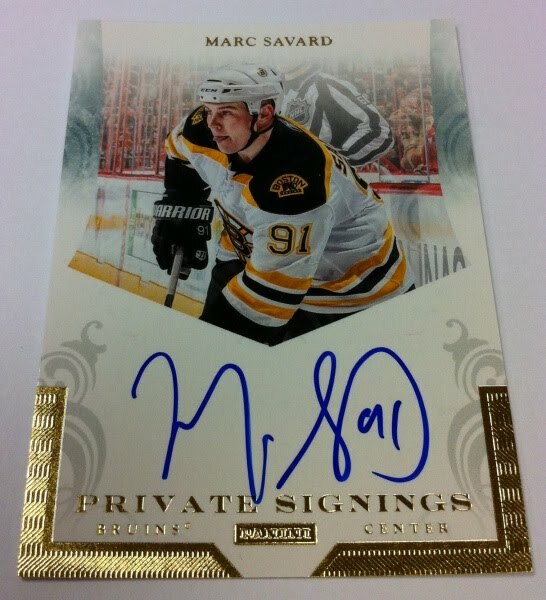 I love a solid acetate design and the Inscriptions is definitely cool, though I do wonder how the autographs are going to hold up over time. 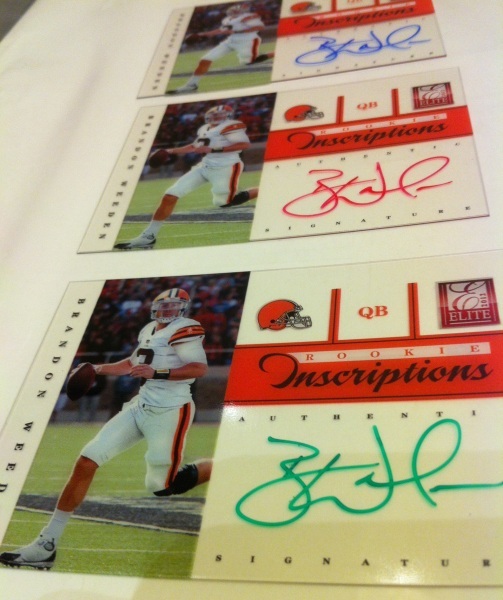 Some of the players added in personalized messages and there appears to be different colored inks used, I am not sure if there will be different serial numbers or if it is just random. 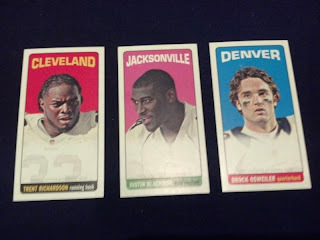 Panini did print out personal editions for the players to take home but Tracy Hackler said that there will be acetate versions inserted in to packs of 2012 Elite Football. UPDATE 5/24: Shaq has announced that he is withdrawing his name from consideration for the Orlando Magic's open GM position. According to ESPN’s Chris Broussard, multiple sources have told him that Shaquille O’Neal will be meeting with Orlando Magic management to discuss the GM opening. If this report is correct and Orlando is seriously considering Shaq this could have devastating results for the team if they choose to bring him on. The man can barely complete a sentence let alone negotiate a contract or hire a new coach. He has shown that he can be bitter and hold a grudge, he is immature and egotistical. To add insult to injury I could see him making himself coach too. I am hoping that this is the team giving their one-time star a courtesy interview and not truly consider him for the job, this could end up worse than Isaiah Thomas in New York. UPDATE 5/24: There is a rumor that LT and his agent Mark Leipseiter were notified that it was Charlie Sheen who was the winning bidder of Lawrence Taylor's Super Bowl Ring. 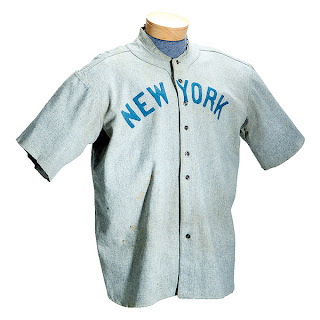 In an auction conducted by SCP Auctions, a well-known sports cards and memorabilia auction house, a Babe Ruth 1920 Yankees jersey closed at a whopping $4.4 million when the auction ended yesterday. This is the earliest known game-worn Ruth jersey and it is from his first season in New York. The winning bid was placed by Lelands.com, an online auction house, who plans on selling the historic jersey themselves. 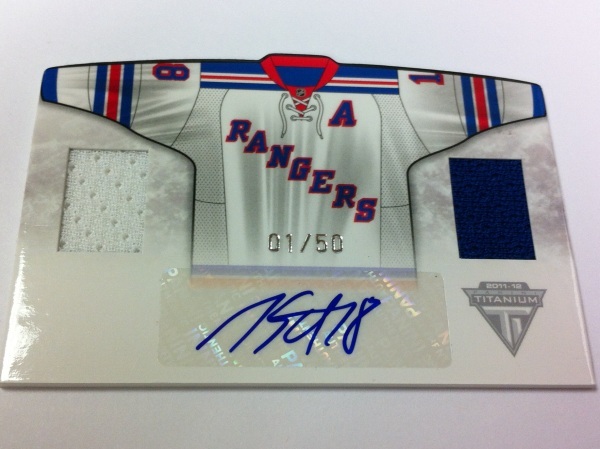 A treasure like this needs to remain whole and in someone’s personal collection, I would hate to see this specific jersey end up getting chopped up and inserted in to a card. A 1934 Babe Ruth Yankees game-used baseball cap, which had been owned by David Wells who wore it during the 6-28-97 game against the Cleveland Indians, I guess that makes it a double game-worn cap. This sold for $537,278 in the auction. Also in the auction was Lawrence Taylor’s 1991 Super Bowl XXV ring for $230,401 and Dmitri Young’s card collection, which included a 1954 Hank Aaron rookie card ($537,954) and a 1955 Roberto Clemente rookie card ($432,690), which Young has said all the proceeds from his card collection sales will go to starting a foundation for kids in Ventura County. There is an interesting story connected to the LT Super Bowl ring, current Giant Osi Umenyiora had promised that if he reached 1 million Twitter followers by Sunday he was going to bid/purchase the ring and then randomly select one of his followers to bring the ring to LT. On Saturday (5/19) when he was sitting at 50k followers he lowered the request to 500k followers. When the auction closed Sunday night Umenyiora was sitting at 52,899 followers so he never made the bid and the ring sold to another collector. This has led to a number of football fans wondering why he could not at least bid for the ring even though he fell short, i.e. - do a good deed. Can anyone stop the Spurs? Will Duncan add a fifth Championship to his Hall of Fame career? Around 5 AM this morning UFC Light-Heavyweight Champion Jon Bones Jones crashed his 2012 Bentley in to a utility pole in Binghamton near his Endicott, NY home. The car was totaled but Jones walked away with a bloody nose from when the air bag deployed. Following the accident Jones was arrested and charged with a misdemeanor DWI, he was then released in to the custody of a family member. 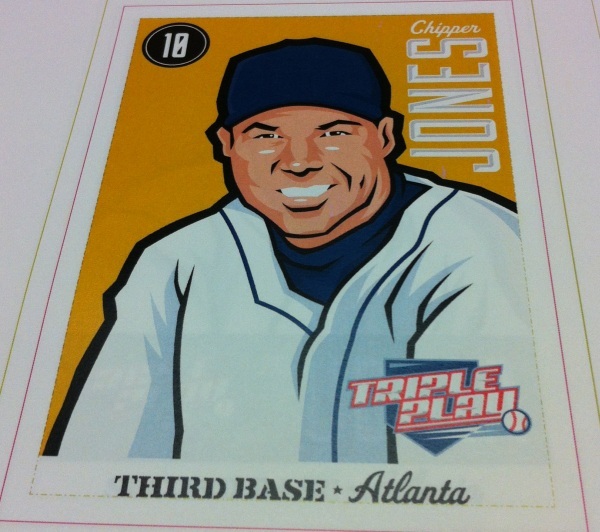 Bones has been the epitome of a champion; previously he has never had a run-in with the law and has been described as an “All around good guy”. What is strange is that last month in an interview with USA Today he said that he did not see himself doing knucklehead things or anything stupid which makes you wonder if he put a jinx on himself with those statements. As this is his first brush with the law it isn’t expected that he would be punished with anything more than a fine and probation. 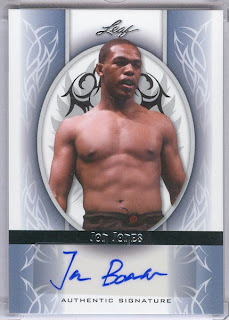 As far as UFC fighters go, Jones is among the most collectible so you have to wonder if this incident will cause damage to his collectability. As long as things like this do not happen again I don’t see his reputation getting too tarnished and I would expect Dana White will stand by him. He is scheduled to fight at UFC 151 against Dan Henderson in September and as long as he continues to win I think his long term value will remain. 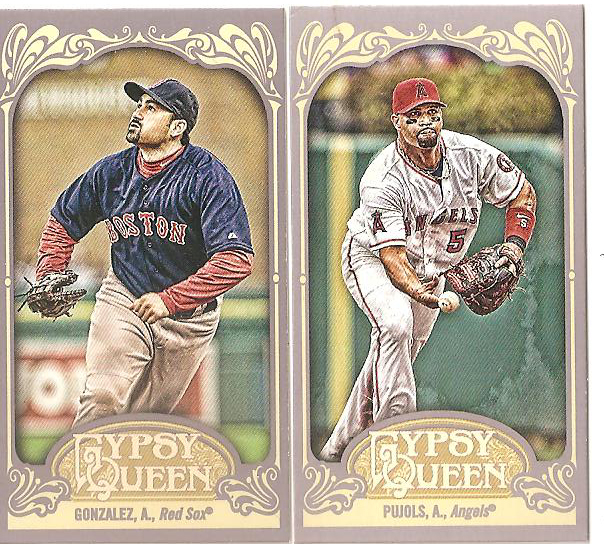 I picked up a value rack pack of 2012 Gypsy Queen, it came with three packs and three framed gold parallels. 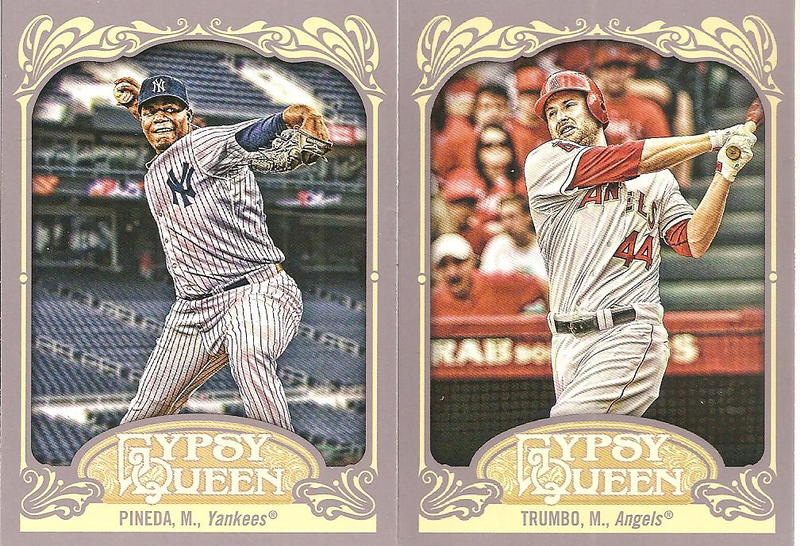 I started off with a couple of 2011 AL ROY candidates, Mark Trumbo (#2 overall) and Michael Pineda (#5 overall). Trumbo had a solid year last year and has started off with a bang this season. Pineda started off well going 8-6 w/ 3.03 ERA before the All-Star break but ended up 9-10 w/ 3.74 ERA to finish off the season and he is done for this season after his shoulder surgery. 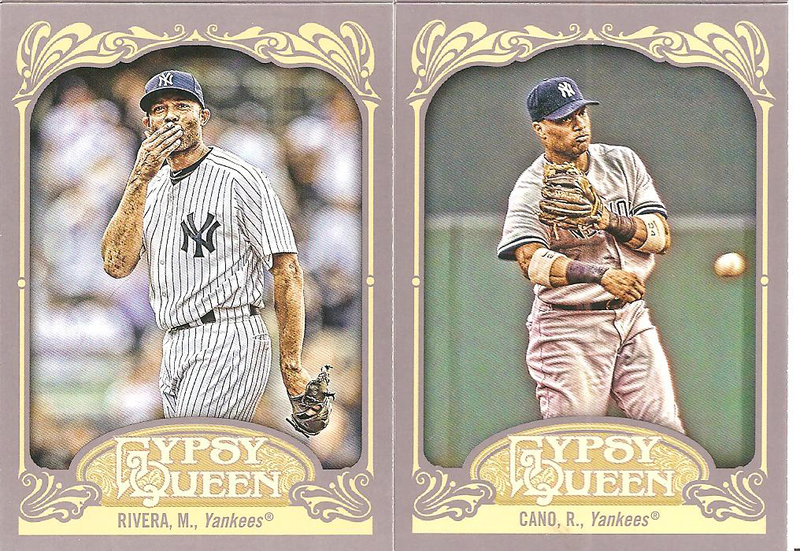 Next up are a couple more Yankees, a legend in Mariano Rivera, who may have played his final game after tearing his ACL though he has said he would like to return next season. Next up is Robinson Cano, who has settled himself in as the Yankee Second Basemen for many years to come. 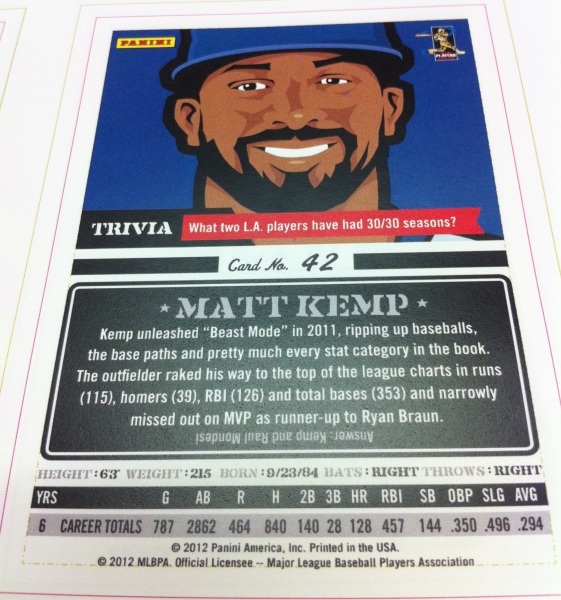 The Mariano Rivera is the SP version. 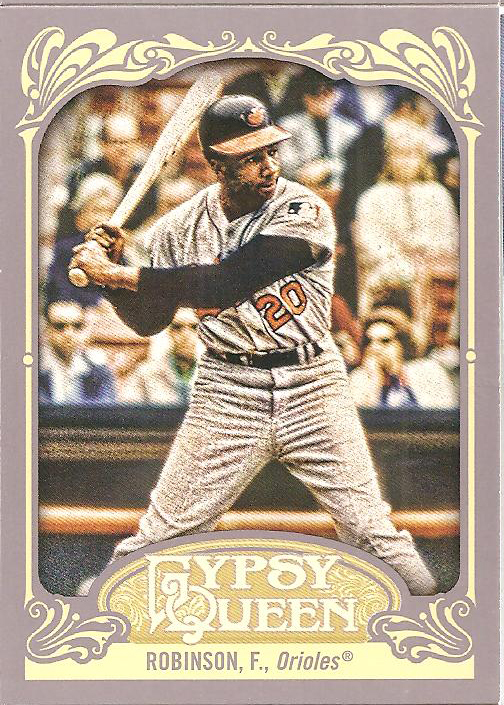 I close out the base cards with a Hall of Famer Frank Robinson. 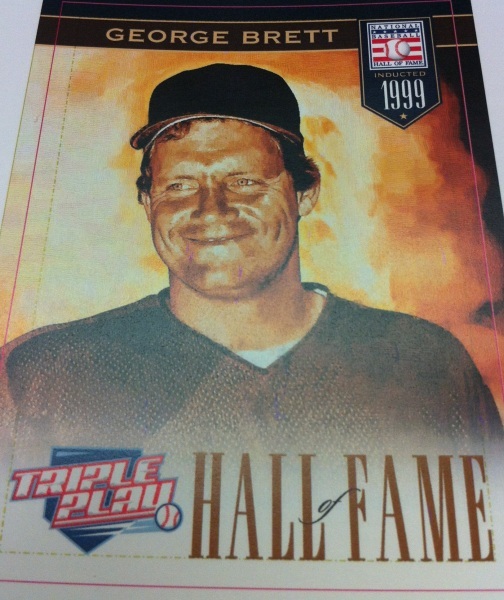 I also pulled Orlando Cepeda and Wade Boggs from the legends checklist. 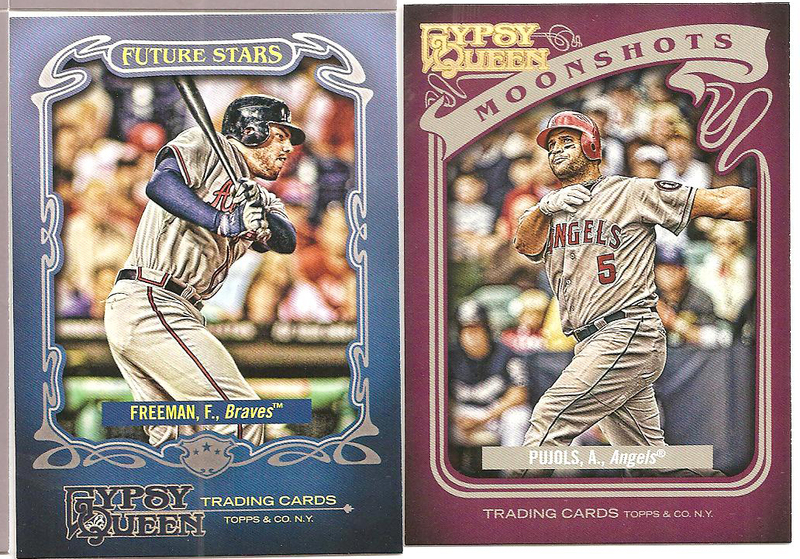 I pulled a Freddie Freeman Future Stars and a Albert Pujols Moonshots. 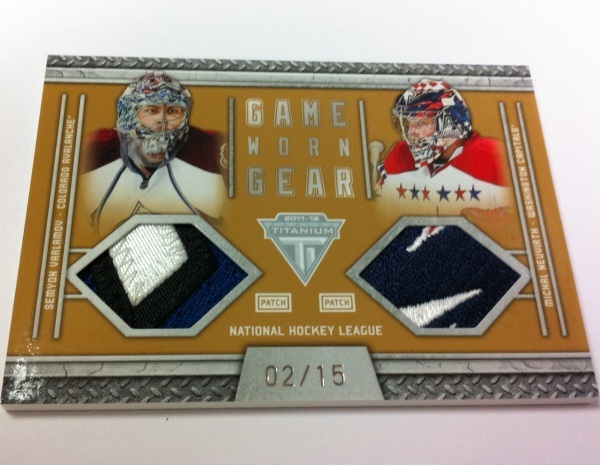 The special framed gold parallels include Matt Moore, David Freese and Rod Carew. 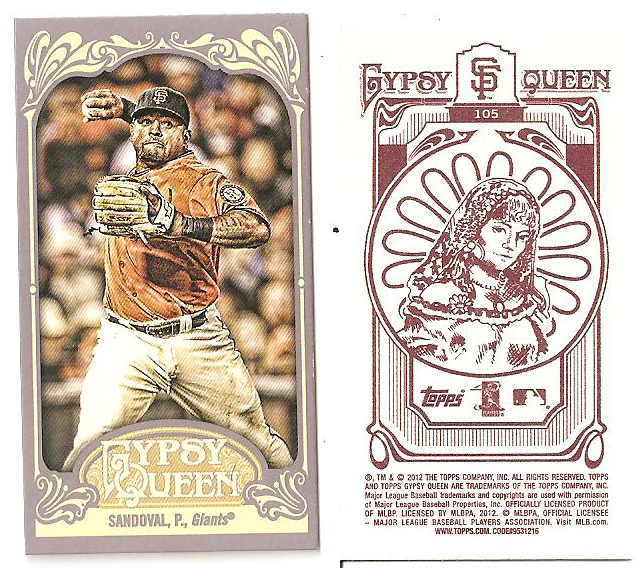 I close out with the minis, Adrian Gonzalez and Albert Pujols regular backs and a Pablo Sandoval Gypsy back. 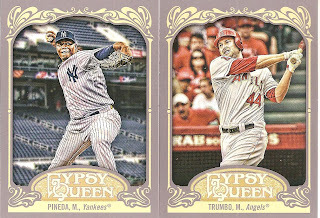 Overall I am happy with the product, Topps has been pretty consistent with putting out a quality Gypsy Queen set year after year. I am not big on the gimmicks included though. 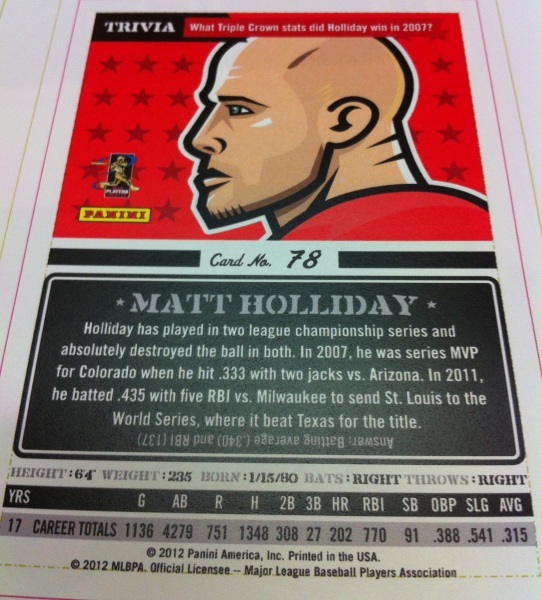 Last year it was the Gypsy cards and this year’s Gypsy King cards. 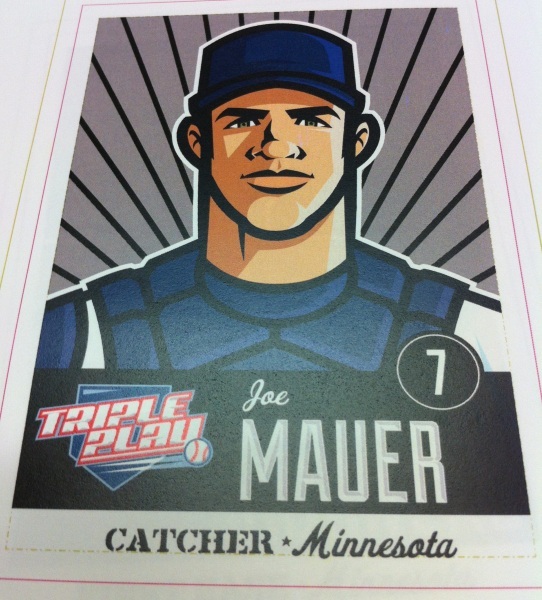 Though if I had to choose one it would be the Kings because the baseball theme. What Is Up With Past & Present? A Final Close To The Phoenix Coyotes Drama? 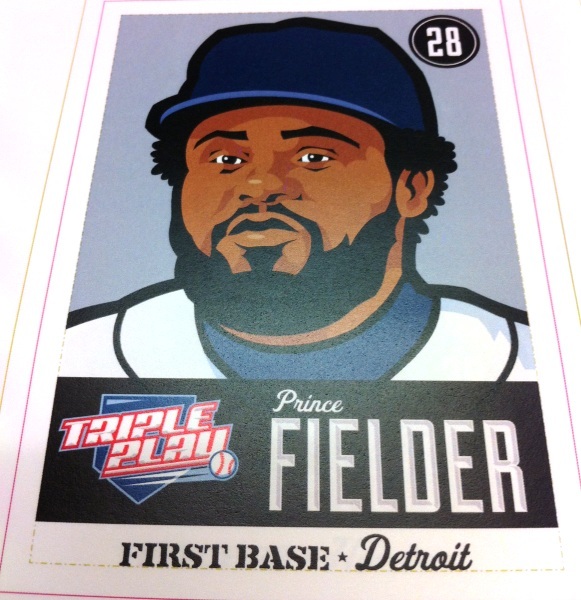 Triple Play Baseball Is Back!